Restoration of Wool & Silk Persian Oriental Rugs and Carpets. A family business run by certified Master Rug Cleaners® Nick & Dasos Gonnella. Call 020 7129 7331 for more information. I rely on The Persian Rug Cleaning Company to maintain many of our residents’ rugs and soft furnishings. 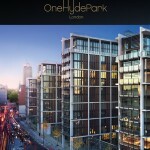 One Hyde Park Apartments is the world’s most exclusive private residence serviced by only the very best companies in their respective fields of expertise. Nick and Dasos are knowledgable, trustworthy and irreplaceable, making them my only choice when rug and fabric care is required. How Often Should I Clean My Persian Rug?